So, my oven broke. And since I’m living in a so-called “developing” country, and eeeevvverrrrything takes longer to get done, it might be awhile before I can post anything that requires an oven. SADness. Soooooooo, I decided to can, since I have a plethora of jars. 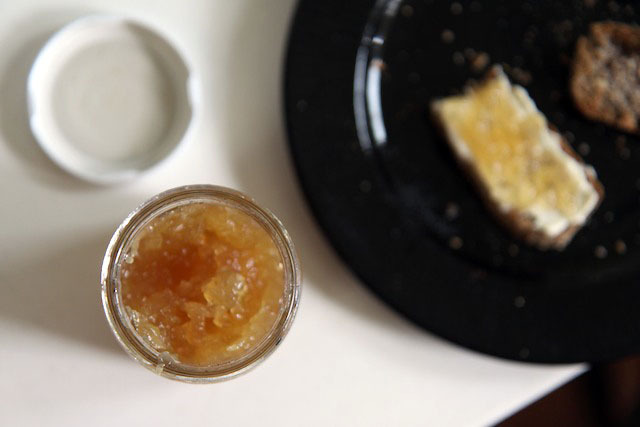 Has anyone out there made apple jam before? With an abundance of apples in these parts, I figured why not give it a try. I know it’s not your typical fruit to be used in jam, but it actually turned out quite delightful! And paired with cream cheese on whole-grain, homemade bread? You can’t beat it. 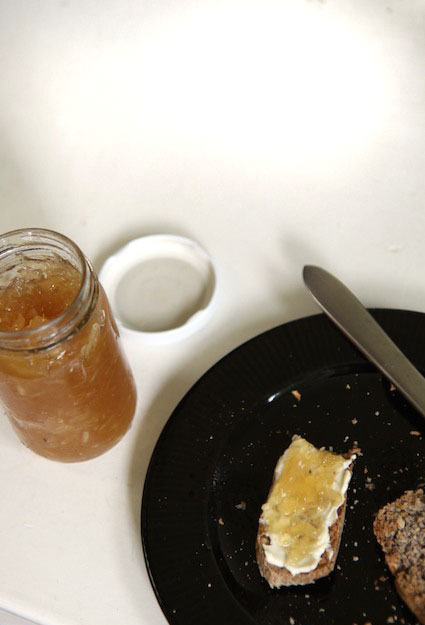 *Note: this recipe doesn’t make very much…about enough for 4-5 small mason jars. If you wish to make more, double it! 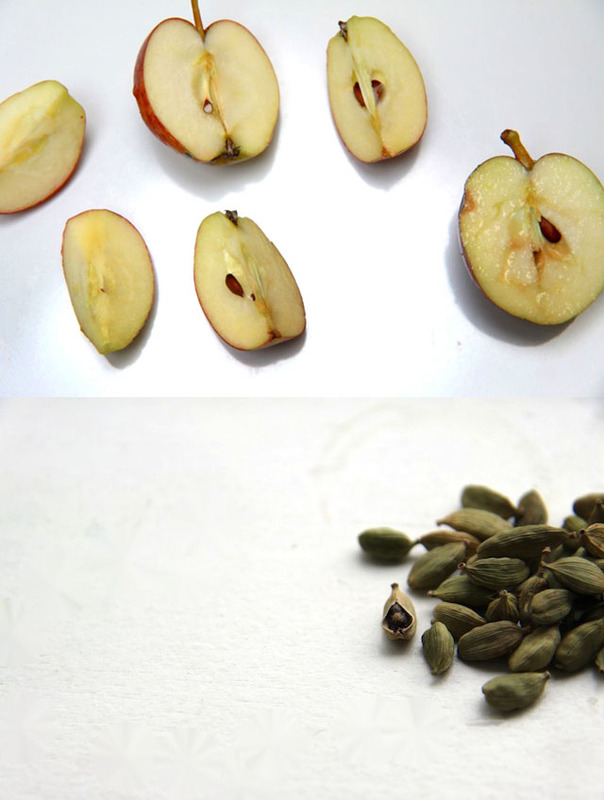 Place peeled, grated apples in pot with lemon juice, sugar, grated ginger and cardamom pods. Cook all on medium-high heat for about 25-30 minutes, or until you get a nice jam-ish set. The temperature should be around 240 degrees. When slightly cooled, place in prepared, sterilized jars, and following hot water bath canning procedures.